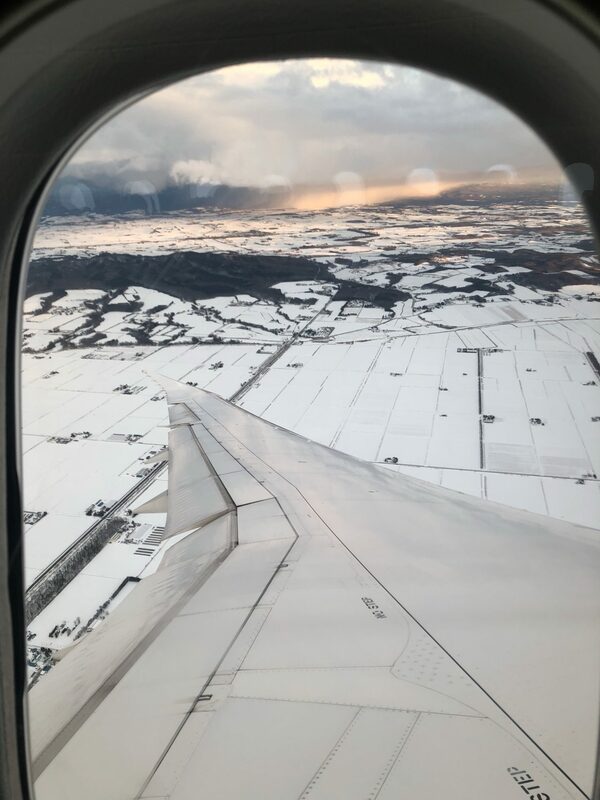 Japan Travel Diary: Hoshino Resorts Tomamu, Hokkaido – Christing C.
Hokkaido has always been a firm favourite of mine when it comes to ski destinations. 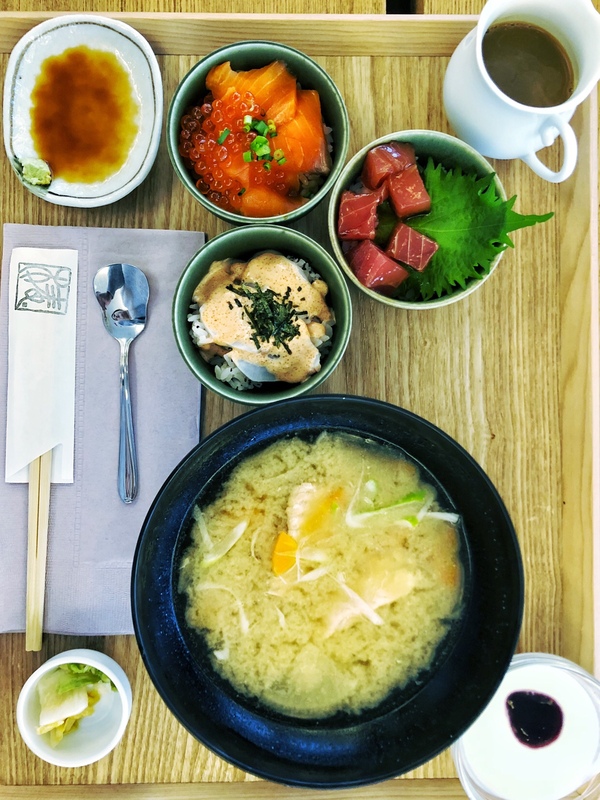 The snow is an impressive powder consistency, mouthwatering sashimi and ramen is at every corner, they are famous for ice cream, cheese and seafood, and I’m very partial to warming up with whiskey or sake. 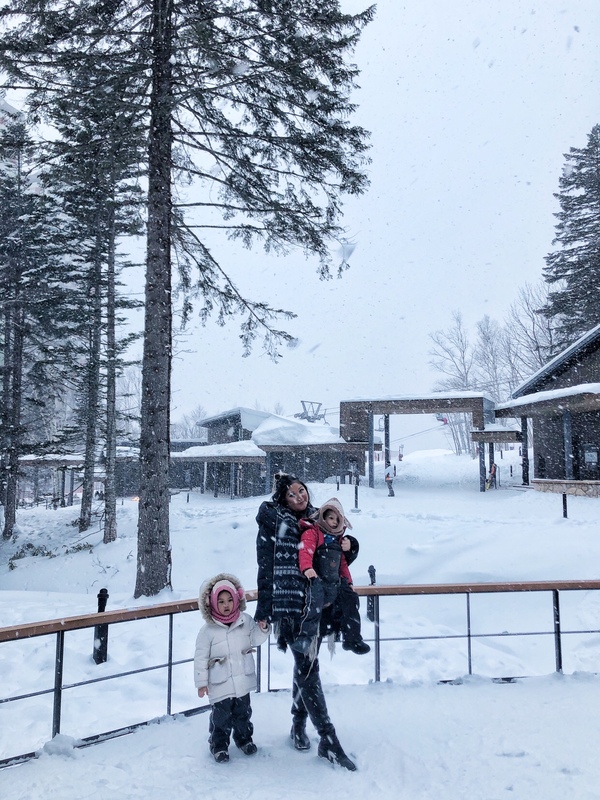 Dan and I visited often during our childless years, but we thought it was time for the two little ones to be introduced to snow. 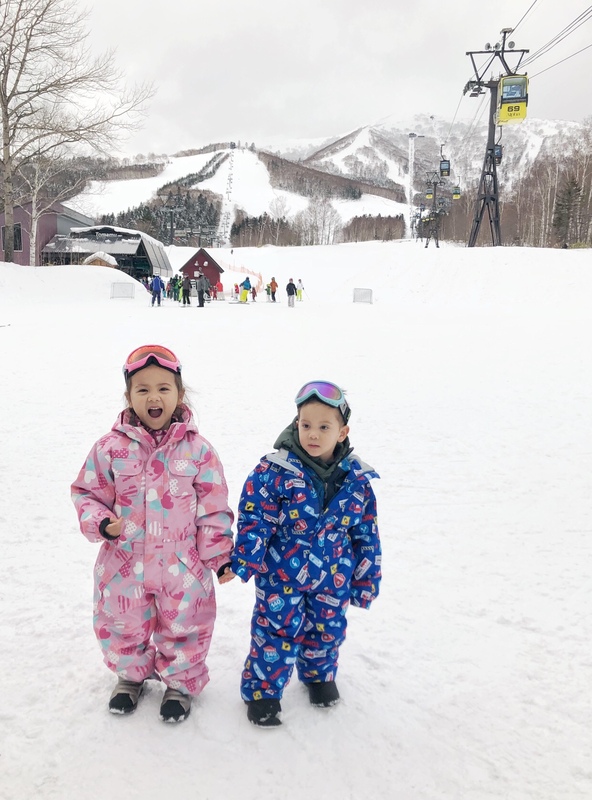 Hoshino Resorts Tomamuwas an easy choice as a family destination, with beautiful scenery, spacious suites, and plenty of activities for everyone. 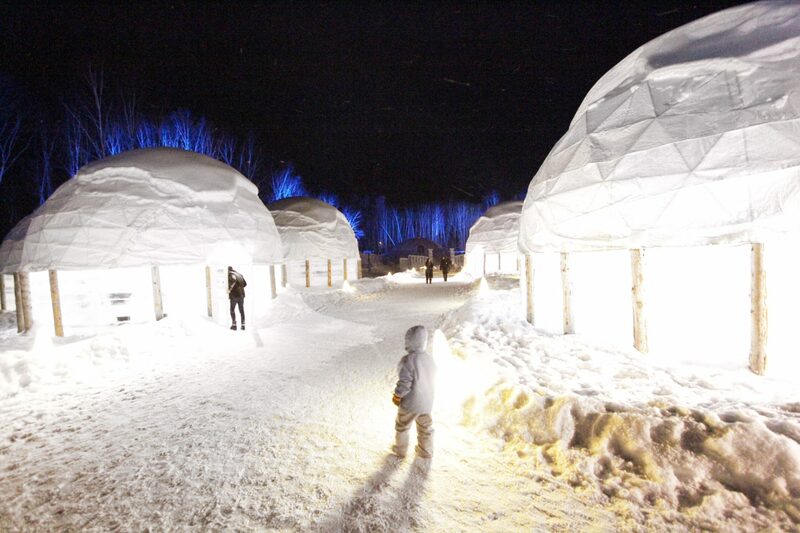 The resort is accessible in under two hours by high speed train from New Chitose Airport or Sapporo. As soon as we stepped off the train, our little family was greeted by friendly staff to shuttle us straight to check in and our room. 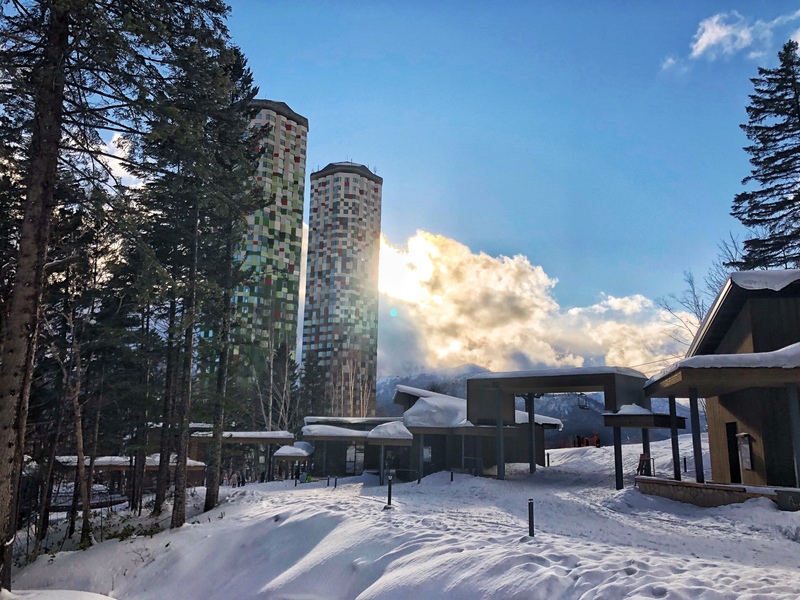 Risonare is Tomamu’s all suite building boasting insane views, enough space for even large families, and cozy facilities including a gigantic in room jacuzzi and sauna. 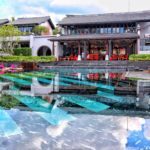 The apres ski perfect library and kids play area were great for relaxing and socialising, and the top floor dining room allowed us to enjoy a seafood breakfast while gazing at mountain views. 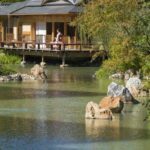 A convenient shuttle bus runs regularly around the resort allowing you to explore all they have to offer. 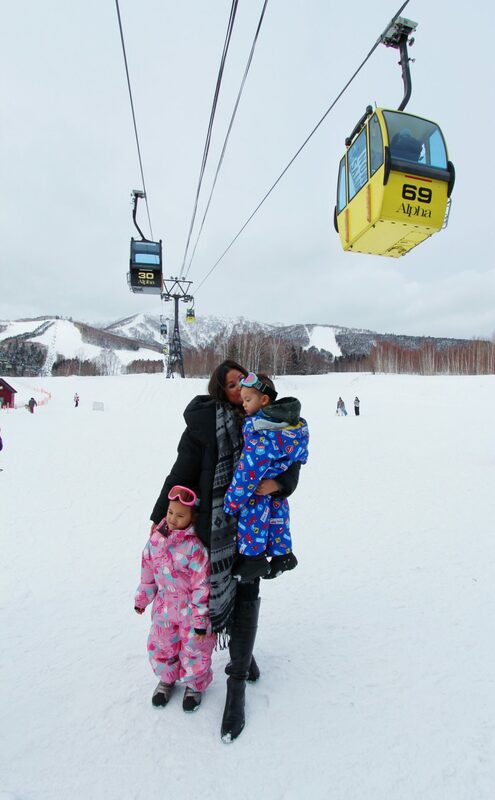 Head to the Resort Centre for ski slopes and the gondola up to the spectacular Unkai Terrace. 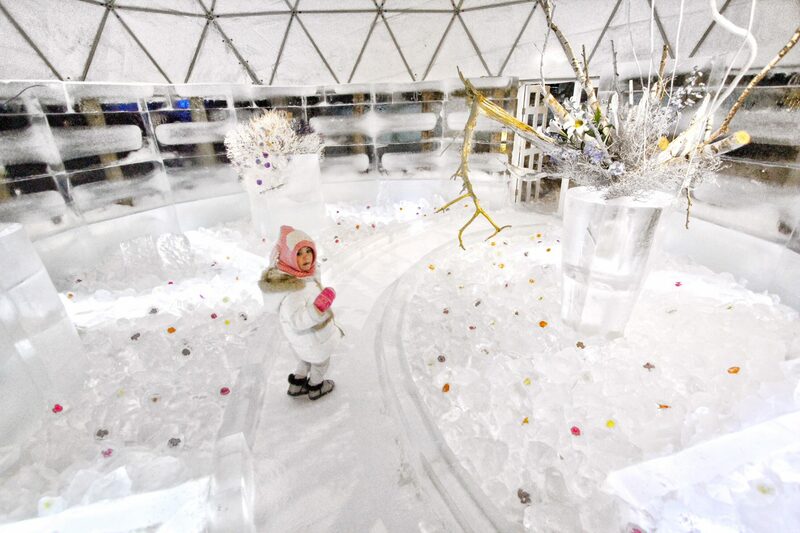 The Tower was a regular spot for us as they housed a sledding area which proved popular with Ever and River. 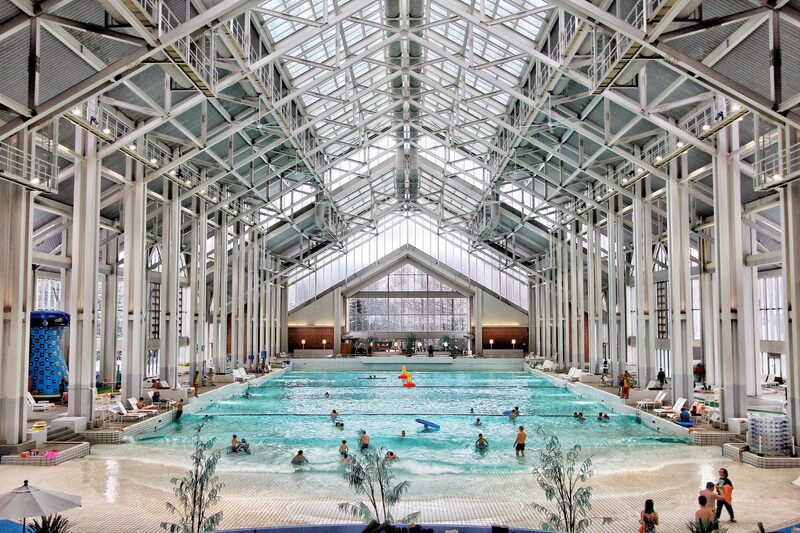 And if you want an indoor activity, head over to the Mina Mina Pool for fun in the wave pool. 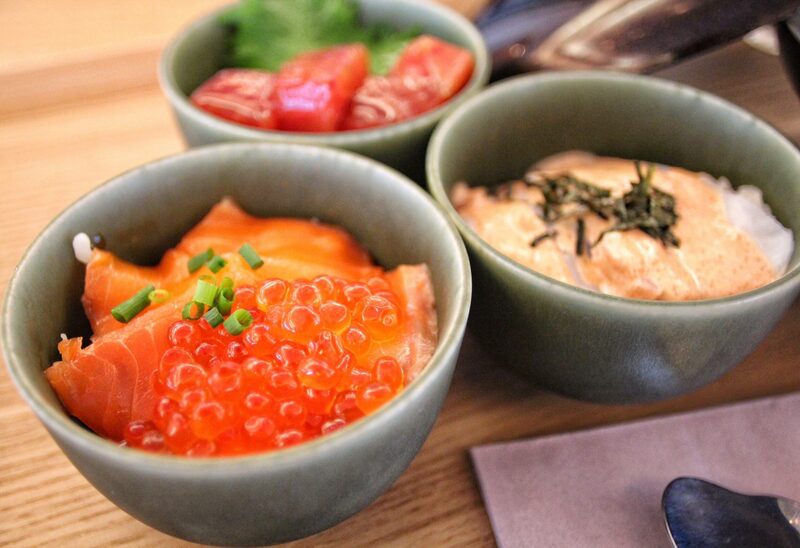 Have a meal at Hotalu Street, the ski in/ski out restaurant street, complete with warm fire pits and tempting Japanese and International options or check out one of the buffets for child friendly food and seating options. 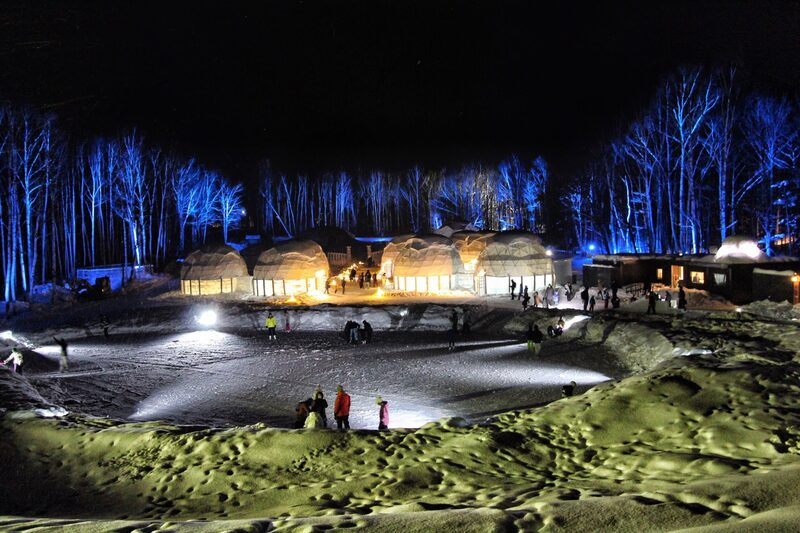 One of our highlights was the Ice Village, open each evening, complete with a slide entrance, ice skating rink, marshmallow roasting in an igloo, and even little shops for browsing. 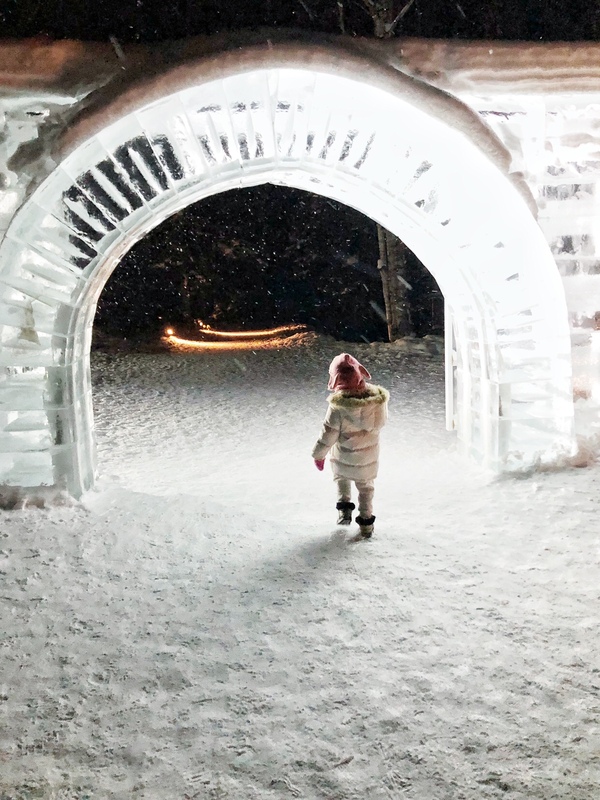 Every aspect of the resort was accommodating and convenient, and we loved the stroller friendly tunnels that allowed you to navigate the entire resort without ever going outside. 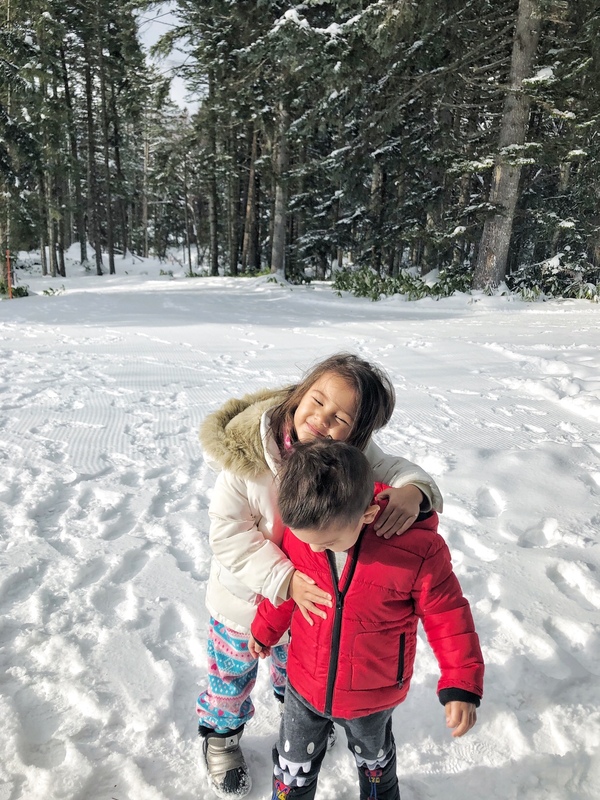 Ever spent most of her time searching for Elsa, built her first snowman, and found a love for ikura, and River spent his days convincing us it was more fun to be buried in snow. 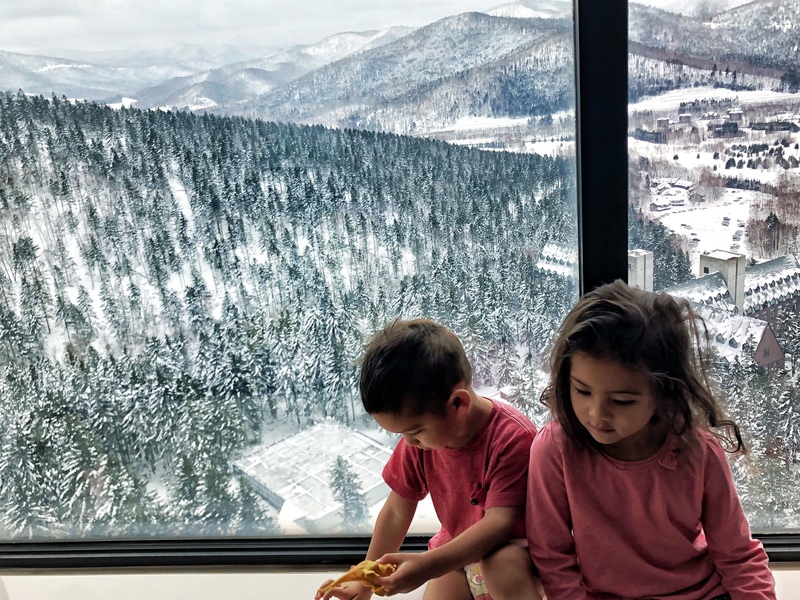 They gazed out at mountain views from every room in our suite, and fell in love with their “swimming pool bathtub.” We can’t think of a better way for our children to have been introduced to a white, snowy winter and will most definitely be back again.